Kids love to ask tricky questions and know all the smart answers. Our riddles are just the tool for that – they are catchy, funny and smart! My First Riddle Book will introduce children to English grammar and vocabulary in a light and funny matter. The book contains obscure idioms that helps children understand the language better and to start enjoy exploring it. 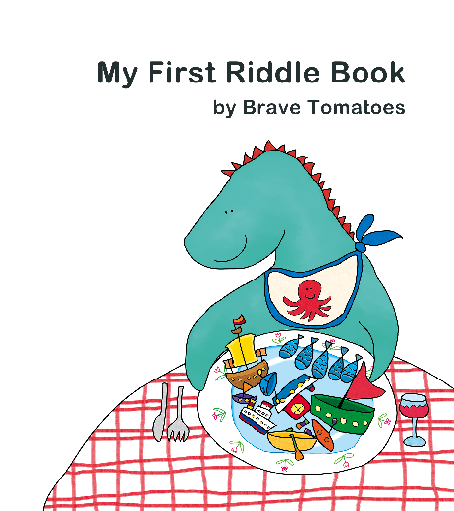 Combined with the simplicity and the quality of the illustrations, My First Riddle Book is a great entertaining and educational book for preschoolers. The mobile app – My First Riddle Book is featured on the Apple App Store as New and Noteworthy and What’s Hot in the UK and the US. Ranked in the Top 100 in the US and the UK for All Book Apps for iPhone & iPad.